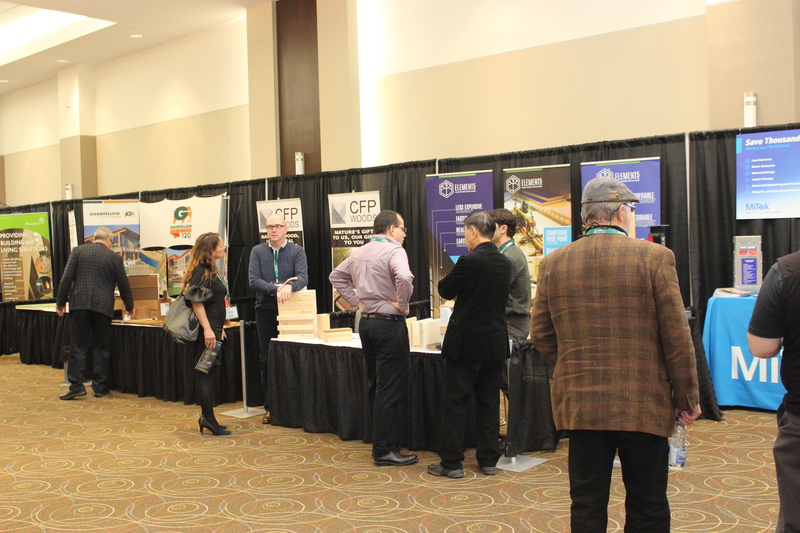 Held November 22, at the International Centre on Airport Road in Mississauga, the Toronto Wood Solutions Fair is the premier event in Ontario dedicated to design and construction with wood and wood products. Attracting a broad spectrum of professionals, the day was packed with sessions presented by both international and Canadian experts. 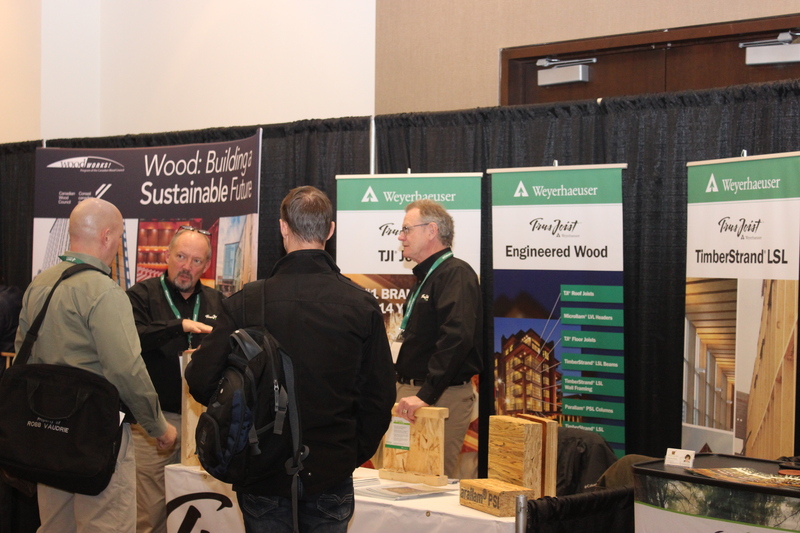 Attendees could earn up to six continuing education credits while learning about the latest industry trends and innovations for designing and building with wood. This one-day event, presented by Ontario Wood WORKS! 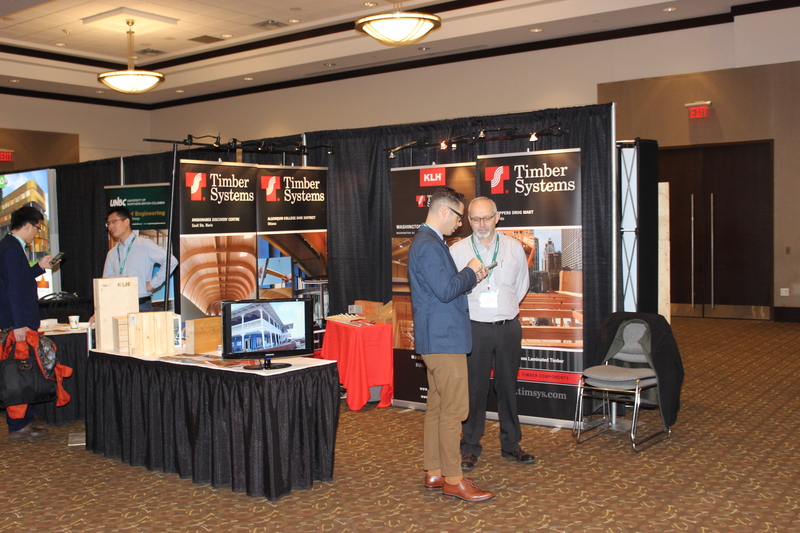 and the Canadian Wood Council showcases wood uses in commercial, institutional, industrial and residential construction through educational seminars and an interactive industry trade show. The Wood Solutions Fair presentations meet the Continuing Professional Development requirements of the Canadian Institute of Quantity Surveyors (CIQS); Structured Learning requirements of the Ontario Association of Architects (OAA); CES Learning Unit requirements of the American Institute of Architects (AIA); Continuing Education Unit requirements of the Engineering Institute of Canada (EIC); and offer technical knowledge that members of the Professional Engineers of Ontario (PEO) may consider for their continuing professional development (CPD) needs (at their discretion).